If you want to make progress sculpting your body shape by going to the gym then accountability is important. That means having a gym partner or local personal training team helping you move forward and recognising when you’re not doing as well as you could and you need to change, or seeing how much improvement you’re making, spurs you on. As the leading independent gym in the Ribble Valley we know what it takes to sculpt the body shape you want in life. Now that isn’t just what you need. 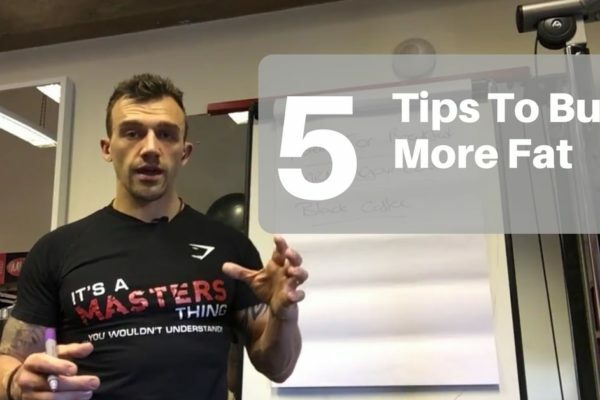 There are lots of other smaller factors that go into your exercise, nutrition and mindset (and overall calories you consume), but these are the main ones. Having an accountability partner, whether that’s your friend who comes to the gym with you or a local health professional, is important to encouraging and motivating you along the way. And, they’ll be there to highlight whether any important changes are needed. Having a plan is all well and good, but if you don’t know how you’re progressing and whether you’ve hit your goals on that plan, how do you know if you’re making progress? So, making note of what weights you’re doing and for how long, and looking at your nutrition and other lifestyle factors will help you when you’re seeing what to improve on. If you ate 25% over your allocation for calories for the past week then that will give you a good indication your nutrition for the week hasn’t been as optimal as you want it to be. Keeping track of your food is so important. An accountability partner is impartial. Whether they’re with you most of the time (in the gym and eating out) or they look over your numbers once a month like our Gold gym personal training membership does. We all lie a little when it comes to health, fitness and exercise. Maybe you’ve thought to yourself that having that chocolate bar last night in front of the telly wasn’t that bad. Until you then remember you had a couple of biscuits too. It’s a blip. It happens to all of us, but if you’re not honest with yourself then it’ll be hard to make some good progress. If you’re seeing a health professional who is looking at your body fat readings, analysing your calories and food, and then adapting your gym fitness program to help you sculpt your ideal body shape then not being honest with them will affect your progress. They’ll also be impartial and won’t have the emotional attachment to those biscuits or that slice of pizza you had the other day. You’ll find that as you progress you will look back and smile about how far you’ve come on your journey.